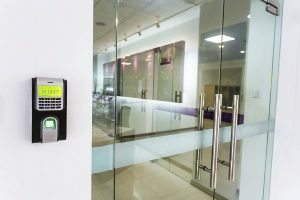 If you have been hesitating to upgrade your company’s access control systems, here are some reasons that can convince you to go ahead with it. The holiday season is almost upon us. It’s much closer than you think. Although customers will be rushing in and out of retail stores, it will be a hectic time for office buildings as well. If you have been hesitating to upgrade your company’s access control systems, here are some reasons that can convince you to go ahead with it. Enhancing your access control measures shows that you care about the safety of your employees, customers, and visitors. That way, it shows that you will not allow unauthorized entry. The more secure your business is, the more people will feel safe. If you run a small business and you are looking to grow, then you need to build trust. Trust is essential for all businesses, no matter what size they are. But when you can make a good impression on particularly important clients, it will help improve your image. After all, in the business world, reputation is just as important as delivering excellent customer service. When business is booming, you’re bound to have many more visitors than you would normally expect. Access controls help track the traffic going in and out of your business. Think about it this way: your business might not be based in a standalone building. Chances are that several other businesses share the building with you. While the exterior doors leading in and out of the building should be secured before the building opens and after it closes, that might not always happen. By adding access control features, you can add an extra layer of security in case anyone neglects to turn off the lights and lock the door at the end of the workday. Access control can also go a long way towards boosting employee productivity. Whether they have family, friends, or significant others who come to visit, they can provide distractions that stop your employees from getting their work done. Make the most of the time that your employees are supposed to spending working at the office. Keep in mind, however, that there are other many other ways to increase productivity that won’t seem as strict. Consider those other methods on top of how to improve your company’s security. This entry was posted on Wednesday, November 14th, 2018 at 2:20 pm. Both comments and pings are currently closed.